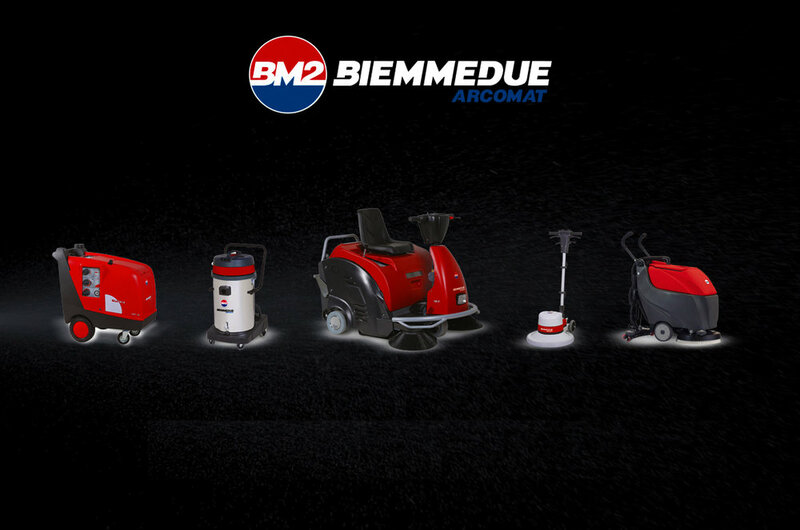 For over 30 years BIEMMEDUE, a company based in Cherasco, in the province of Cuneo, world leader in Made in Italy and professional products in the field of heating, cleaning and dehumidification, produces equipment for industrial cleaning in a line that takes the name of ARCOMAT. All the products are easy to use and remarkably efficient: practicality of use, ergonomics, compact and compact volumes, top quality construction materials and resistance to use make them highly professional cleaning products. Many other strengths of the ARCOMAT products: cutting-edge design and construction technology, thanks to the use of CAD-CAM systems, specific solutions for the most diverse user sectors, strict Quality Control procedures (UNI ENISO 9001: 2008) and compliance with the strictest international performance and safety standards.